Please join us in welcoming Dr. Annastasia Burright and our new practice manager Richard Burright to our team. The ownership change took place during the fall of 2017. They look forward to providing you the same great service that Oak Hills Veterinary Clinic has been providing you with for the past 30 years. Find out more about Dr. Burright here. 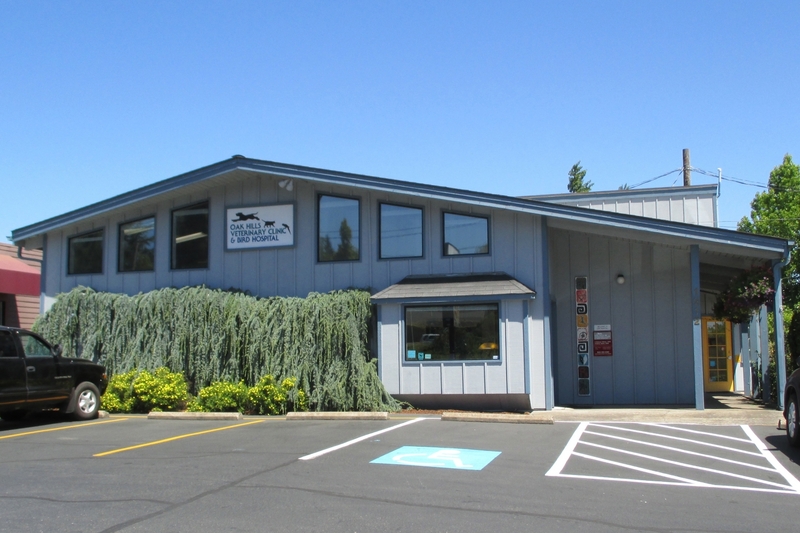 Located in West Salem for over 30 years, we are a full service small animal hospital providing comprehensive healthcare services to pets in Salem and the surrounding areas. We provide care to dogs, cats, and pocket pets such as guinea pigs and rabbits. With the retirement of Dr. Richard Hillmer, we are no longer seeing avian patients. Our veterinary hospital is well equipped with everything needed to maximize your pet's care including digital radiography, ultrasound, laser therapy, in-house lab testing for accurate diagnosis, surgical suite, dental cleanings and oral surgery, and up-to-date monitoring equipment. We also maintain a complete pharmacy and have the ability to compound medications into a tasty liquid for those pets who don't want to take pills. We are committed to providing excellence in veterinary care at every stage of your pet's life, from routine preventive care to early detection and treatment of a wide range of conditions and diseases and surgical care. Our mission is to provide the highest quality pet care in a friendly, clean, odor-free, relaxed setting. We try to maintain a "no bark" and "low noise" environment to ensure that our patients get the benefit of a quiet place to rest and heal, and so that stress is minimized for all patients. We maintain separate facilities for dogs and cats, including our reception areas, treatment areas and kennel wards in order to reduce stress for all patients who visit. Please browse our website to learn more about our clinic and the services we provide for companion animals. Read information in our Pet Library, learn more about our doctors and staff, view videos, and take a virtual tour of our veterinary hospital. We also have our most frequently used forms available for your convenience. Please call our office today at (503) 581-8161 for all your pet health care needs. Need to log in to PetSites?